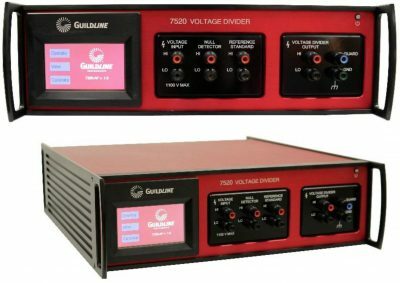 Guildline's 6564 High to Ultra-High Resistance Scanners are the first commercial scanners capable of operating with measurement capabilities to 10 PΩ (1015) and at voltages to 1000 V DC. This capability has never previously been commercially available, and will greatly improve the measurement and calibration throughput of high and ultrahigh ohm resistors now that standard laboratories can easily and quickly automate a single or multiple resistance values. 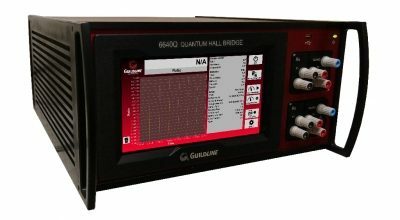 Guildline's 6564 High to Ultra-High Resistance Scanner is the first commercial scanner capable of operating with measurement capabilities to 10 PΩ’s and at voltages to 1000 V DC. This capability has never previously been commercially available, and will greatly improve the measurement and calibration throughput of high and ultrahigh ohm resistors now that standard laboratories can easily and quickly automate a single or multiple resistance values. Use of the 6564 Scanners makes no material contribution towards uncertainty based on noise or repeatability. 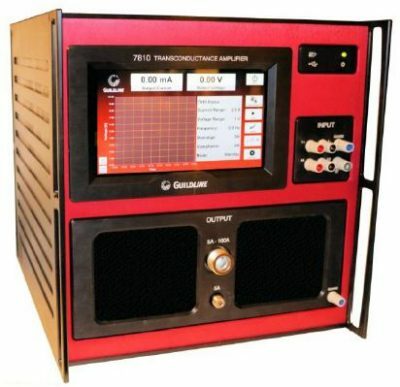 As an example, this means using the scanner has no measured effect on Guildline’s 6520 Teraohmmeter Transfer measurement mode of operation throughout the entire range of the meter. Contributing less than 1 ppm of Leakage for measurements at 100GΩ the 6564 scanner has negligible effect on the uncertainty contribution when used for direct reading measurements considering the uncertainty budgets of measurements at these values. 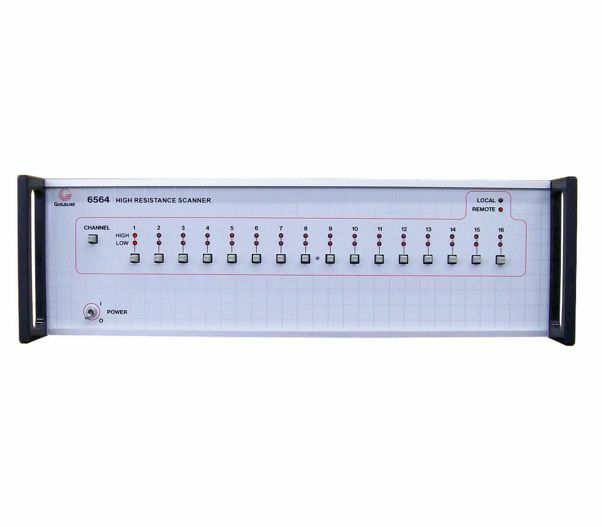 Furthermore, due to the repeatability of the scanner’s leakage, this leakage is easily characterized and can be removed by specifying the offset.